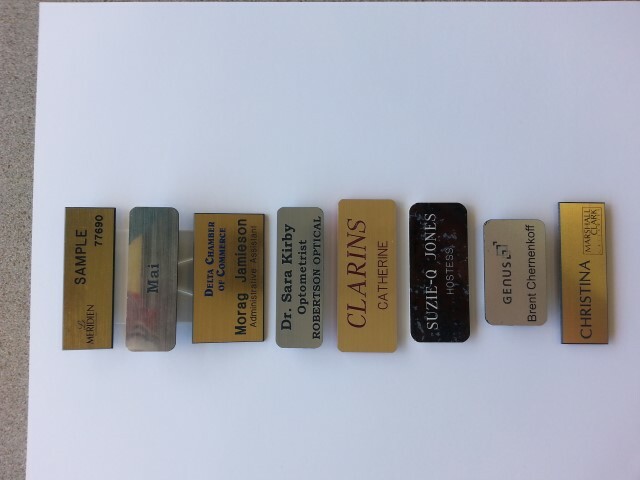 We sell name badges engraved in modified acrylic plastic for attractiveness, appeal, clarity and value. 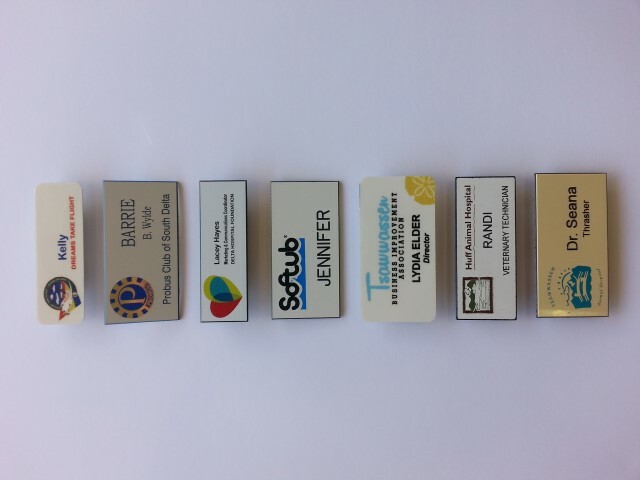 Name badges, ideal for personal identification, are perfect for all staff in contact with the public. This product can be screen printed in to imprint custom logos in quantity and then engrave individual names as required individually, allowing the customer to actually buy custom name badges one at a time if necessary. It’s one thing to buy tags for everyone but how do you buy the name badge for the next employee without getting blanks and writing their name with a pen or dymo label. Call us for your badge requirements. A wide variety of colours, custom sizes, pin on or magnetic.